Former Arsenal man Paul Merson believes that it would be difficult for Madrid to sell Gareth Bale now. The Welshman looks unhappy with Blancos as there are also not entirely pleased with how he has played this season. It has been speculated that he would move to Manchester United but Merson doesn’t know where he would fit with Anthony Martial and Marcus Rashford getting back to form. He then added Chelsea as an option but then stated that he doesn’t know how they would bring him in with Callum Hudson-Odoi knocking the door and also because of their transfer ban. 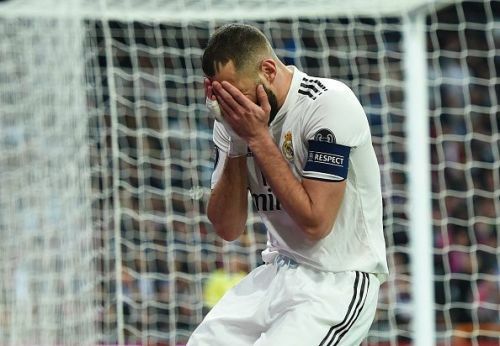 Karim Benzema has an offer to leave Real Madrid. According to reports, he is most likely going to be a backup option next season at Real Madrid at best and he doesn’t want that. As a result, there is an agreement between PSG and Benzema, where the Frenchman will earn around €10 million-a-year for the next four years. Despite Madrid’s exit in the Champions League, the Real Madrid board have decided to not sack Solari as it is not a viable option, report Marca. The likes of Xabi and Raul – who are coaches at Real Madrid youth teams – still don’t have the necessary license to take over the job.